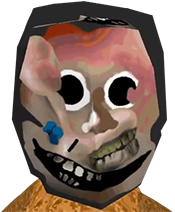 I couldn't find another thread about this here, but on the off chance there is, I'm sorry. I wanted to make a thread to discuss glitch art and the techniques for creating it. Glitches can be seen in our daily lives and generally they're an unwanted or unexpected bug or reaction from some form of technology. From digital billboards, the occasional graphic artifacts on a digital tv, video game bugs or even strange sound distortions the technology we surround ourselves is often just as flawed as we are. 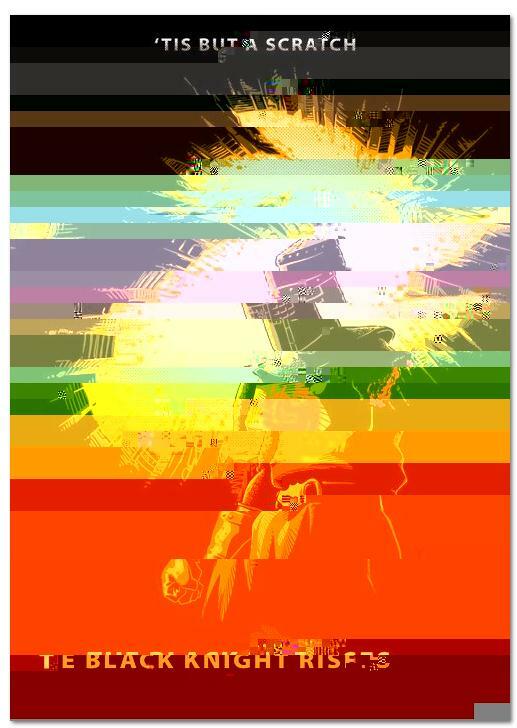 Glitch art is defined as, "the aestheticization of digital or analog errors, such as artifacts and other "bugs", by either corrupting digital code/data or by physically manipulating electronic devices." An explanation on how to make some basic glitch art as well as a much better description of the artform can be found in this video here. 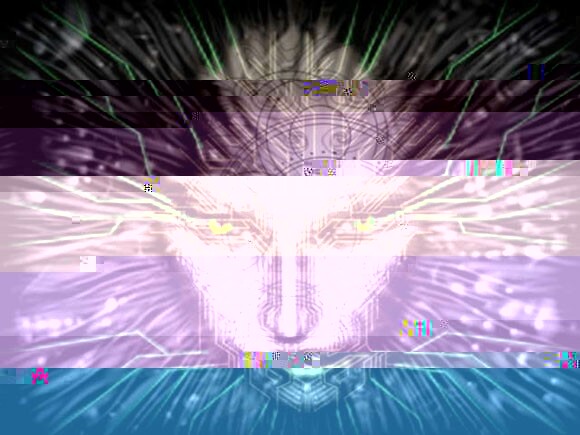 There are various techniques in glitch art. An artist named Phillip K Stearns recently started a kickstarter (it's over, sorry. I'm only going to link it to showcase the artist's technique.) which showcased how he made glitch art photographs by physically manipulating parts of a circuit board and then taking the image to make a tangible form of the art as a textile blanket. I think they're quite stunning. http://www.kickstarter.com/projects...glitch-textiles . 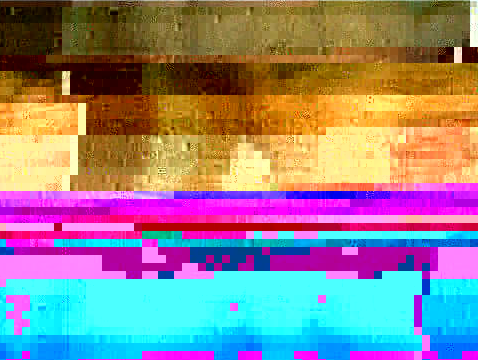 Glitch Safari is a group created by Jeff Donaldson that you can find here on vimeo. http://vimeo.com/groups/glitchsafari They try to capture footage of and celebrate the glitches you'll find in your day to day lives. Some musicians use a technique called circuitbending where they also manipulate circuitry to get an effect, often random and unparalleled in it's sound. I'm not a musician so rather than murder this definition and get some raging at me about what circuit bending is or isn't, I'll just let someone else step in with a better explanation. 3) saving after each change and checking the thumbnail to see the changes. There's probably a million tutorials/ways to do this, these are just two i thought of off the top of my head. If you have access to After Effects please god check these out and post your creations. 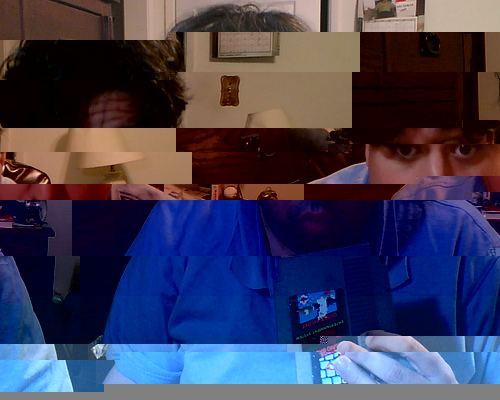 I love to see glitched video clips. 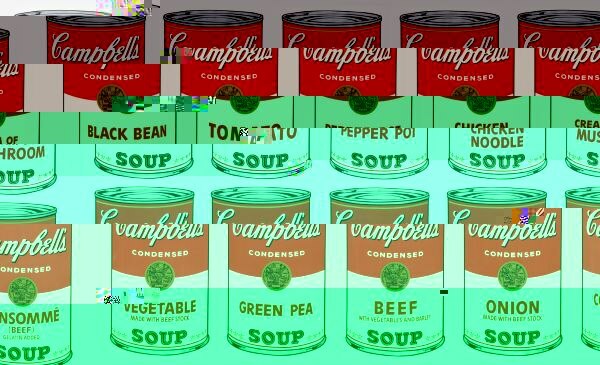 Although I like the randomness to some glitch art and the level of chance, which sort of gives it a Dada feel to me, many artists try to replicate or simulate glitches in their creations. Edit: I probably should have said that those last two creations were from Ian Brooks (I believe). Oh and making glitch art is _really_ fun for some reason so if anyone gets any images using the technique explained here, please share it. Doesn't look as cool as the maybe Ian Brooks stuff. I'll keep trying though. I haven't tried animated gifs yet. Any idea how they got these effects? 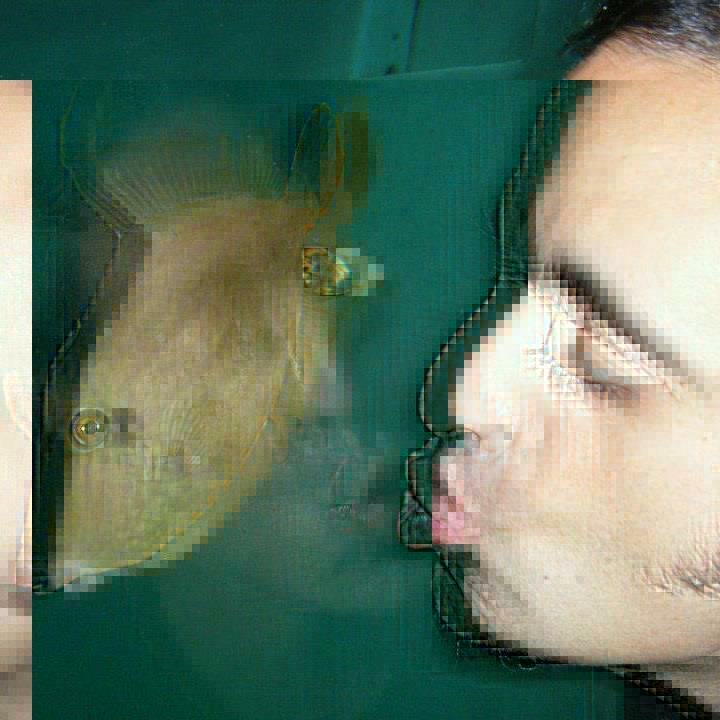 Also Nihilistic fish, that color dog is amazing. Reminds me of old bbs ansi screens. I think you'll like these. 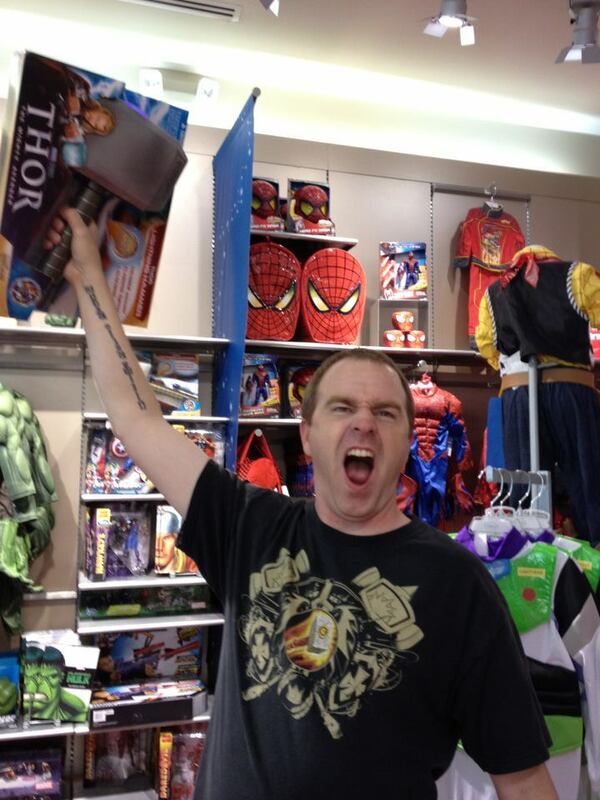 I took this image my g/f took of me goofing around at the mall. I really like it... I made it my desktop pattern. 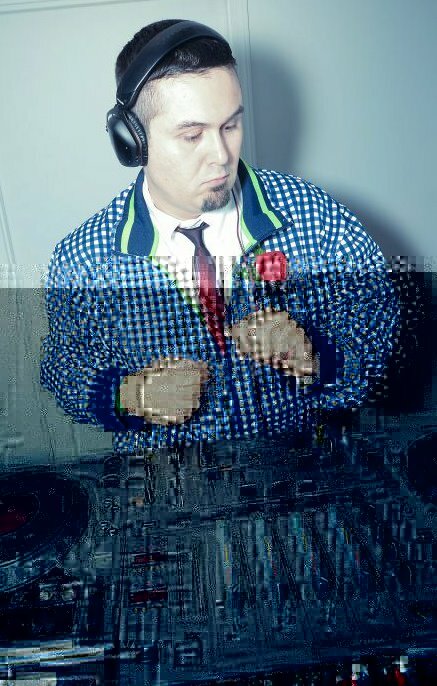 Finally I took doctored a photo of a friend of mine who's also a DJ and I think I made the music come alive. There's probably a million tutorials/ways to do this, these are just two i thought of off the top of my head. I've had video codecs on youtube poo poo themselves and I think it looks nice. This is great because his expression makes him look like "woah wait what the gently caress did I just do?" Is after effects worth it for a complete amateur in video editing? Or is there a much cheaper solution? Sort of off topic sorry. 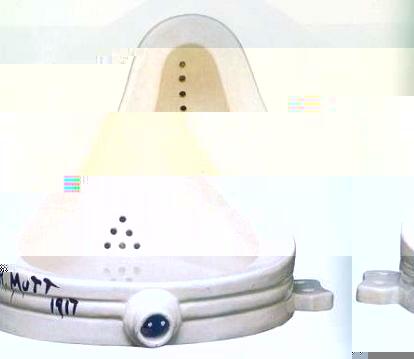 I think DuChamp would approve of this. Really depends what you're going to be using it for. Editing videos is actually a bit of a pain in the rear end with after effects, you're probably better off with an app that does just editing like Final Cut, Premiere, Vegas or Avid. After Effects is more for doing special effects stuff like greenscreen, rotoscoping and motion graphics. There are free programs like Jahshaka that can do a similar job to after effects, but my understanding is that it crashes a lot and doesn't have some of the more useful features like the rotobrush. A lot of motion graphics people fool around with glitch stuff because they already own the app. (It's pretty expensive, to be honest). I haven't got the data plugin/script that i linked to in my previous post, but it looks like it makes it way easier than doing it by hand like you'd have to do in the good old days. 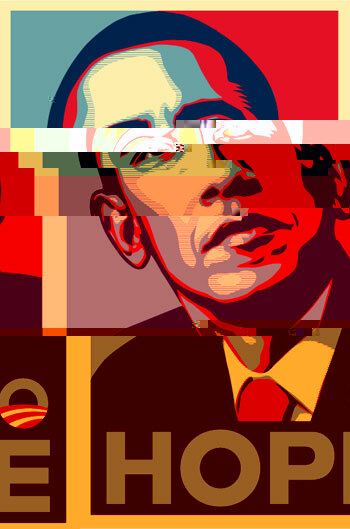 also putting glitches in political art feels like it makes a bigger statement... I dunno. 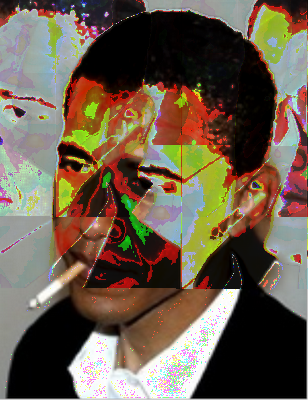 Edit: Also I tried to do this to a Romney jpg I took off his website and.. holy hell I couldn't get the god drat thing to glitch at all. It's because Romney is incorruptible. Although it's not really art, it's pretty interesting to watch videos with missing keyframes. It's the pictures like this that prove he's secretly a reptilian infiltrator. oOIjokM OIJaoskjdd. 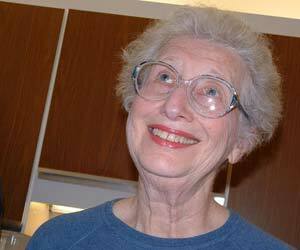 WHaiuhtittt i can oii oj do i o fioro uy ououy? How are you doing that to an animated gif.. because everytime I try all I seem to do is get a gif that won't load and I _really_ want to glitch animated gifs. I'm pretty sure those are done in After Effects, then rendered down to animated gif. They're actually done in gimp. 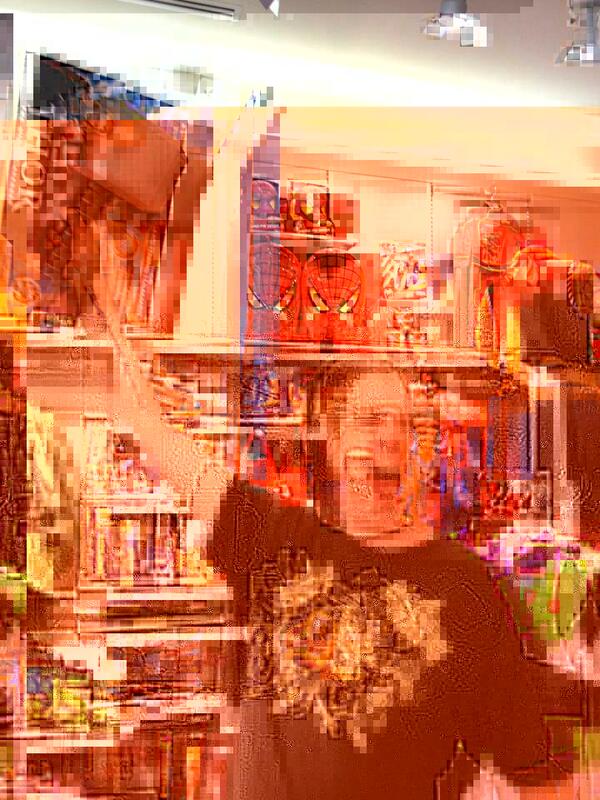 For this I scribbled over his face with the lasso tool and pasted the selection onto a random frame, then mixed up all the frames at the end to give him jerky movement. It only took 5 minutes. For these I used a pattern fill in the bucket fill tool dialogue and either used a selection by lasso'ing his face and hitting ctrl-c, or using preset patterns like with the more colorful image. 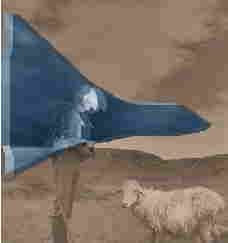 You can choose what parts of the image to fill by either manually lasso'ing the areas OR by changing the threshold number. 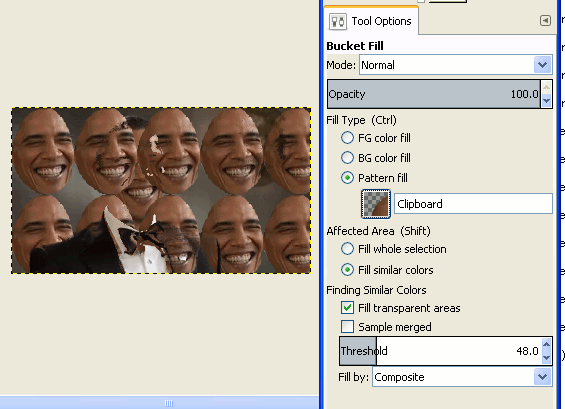 I think I should make a thread about all the cool poo poo you can do in gimp. I pretty much stole it from Chairlift's Evident Utensil video, and was thinking about making a music video with it, but with some drawn solid colors on top. 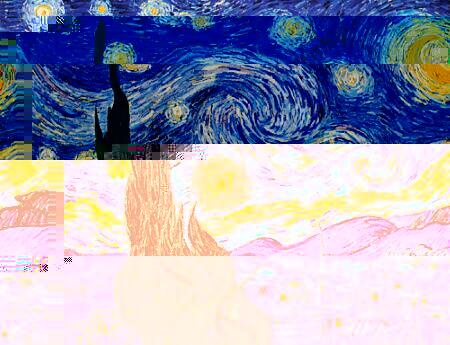 I will definitely check out the thread and trying new glitch art methods, since they all end up looking boss. I gave it a try tonight. I want to do something more subtle but this is my first shot. Plus I don't like it when it deletes part of the pic and leaves grey, need to be more careful about that. For this weird echo/ghost image effect I found out if you copy a part of data and just past it immediately after it right next to the actual data, it often ghost images and offsets the second. It's a really cool effect and pretty easy to do. This video makes me wish I had Linux so I could do all this. Some really awesome stuff there. I've tried the rename jpg to txt and messing with the data, but it seems to corrupt instantly, even with very minor edits. Not sure if it's something with Windows 7 or something I'm doing wrong. The way I do it is edit the jpg with notepad ++ then scroll down past the first paragraph of data (editing here will usually crap out everything or occasionally give you cool color effects) then either delete a character or copy paste something or return randomly (really anything here) then control s to save and view the thumbnail or preview to see what's different. If I hate the change or it breaks it, control z to undo and control s to save. It's quick and easy to thumb through effects and avoid issues this way. Often ill just set the preview of the jpg right next to the notepad++ window while editing it so I don't even need to fumble around minimizing. Somehow triple posted wtf iPhone SA app? 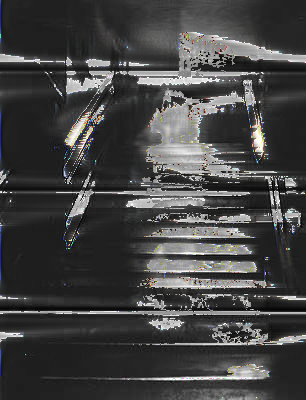 I have some glitched out still images somewhere, but I got more into analog glitching/VHS type stuff. 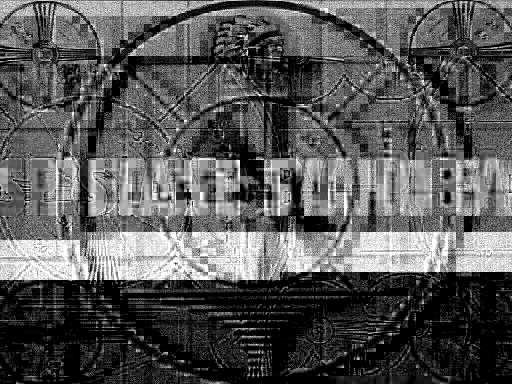 Here was a test of weird VHS corruptions, and another time where I took an animation I did and VHS'ified it. Been playing in Photoshop more, creating I guess fake glitch art. The Leche De Mipalo stuff is really inspiring. 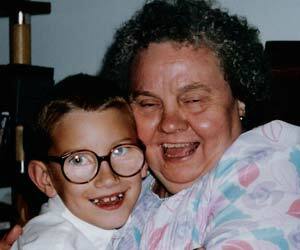 Anyone with better knowledge with Gifs and such know now to get the quality of the images to be like the Gifs he made, I don't know if maybe he created the images around the gif limitations, or that there is a way to increase the quality. I've got it on 256 colours and PS doesn't want to go higher for Gifs. Convert it to RGB before doing anything, then you can index it to fewer colors. You have to import the bmp into audacity as import:raw and change encoding to U-Law or A-Law. Then when you edit the image, click select whatever part of the data (for the first part just select almost the whole thing... DONT select the first part because you'll gently caress with the header and as usual the image will go to poo poo) now select an effect (ECHO LOOKS loving AMAZING). When you go to save the file, do "export" select options and pick whichever choice you made earlier, u-law or a-law. Add the same .bmp extension and it'll warn you blah blah youve hosed up a file. Then it should save with some weird effects.... it took me 2 or 3 tries to perfect this but you get some KILLER effects like this. Oh god... I did something really weird here. 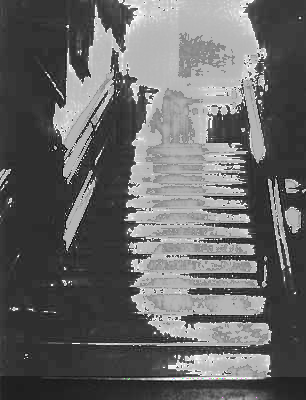 I think through glitch art I may have debunked an old ghost image. 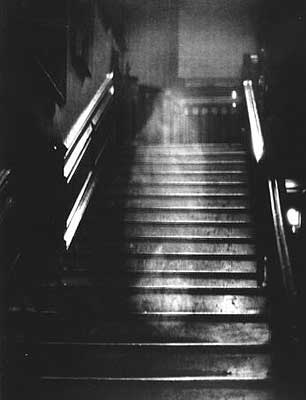 Here is an old image of the brown lady. That was kind of cool so I tried another effect. Wtf... did she vanish? She's loving gone. I was going to do a lot more but after I was able to select and copy paste a section of this image I haven't been able to do it again anywhere. I don't know what technique you were using but sometimes if you're copying and pasting data after it to get that weird overlay effect I got earlier, I noticed that occasionally it seems like the image just locks and no amount of editing gets it to change effect. I thought maybe I was the only one this was happening too. (I also thought I was losing my mind because I was removing whole chunks of data and getting no effect when viewing the image).